A true story of someone rising from the bottom to the top, Lecrae turned to violence, drugs, and alcohol in his youth until a conference changed his viewpoint and he converted to Christianity in 1999. Five years later, he teamed up with Ben Washer to co-found the label Reach Records and release his first album. Lecrae has been breaking records for a decade now, taking Christian rap to a new level both musically and within pop culture. In the span of six years, he released the first Christian hip-hop album to reach number one on the Billboard Gospel chart with 2008’s Rebel, won the 2013 Best Gospel Album Grammy for Gravity, and his most recent album Anomaly debuted at number one on the Billboard 200. 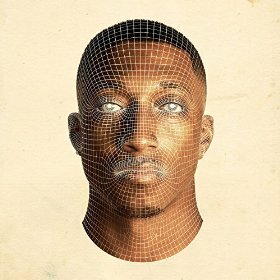 Lecrae’s lyrics and style have changed dramatically over the years, and Anomaly is no exception. Following the trend set since the 2012 release of Church Clothes, a mixtape produced with world-famous Don Cannon (who has produced tracks for artists such as 50 Cent and 2 Chainz), Anomaly is full of heavy bass, layered hip-hop beats, fast rapping, and catchy choruses. This is no normal gospel album, but a legitimate hip-hop album, with a sound comparable to many rappers of today while having deep lyrics that challenge stereotypes. Lecrae never misses an opportunity during the album to explain what anomaly means (which he explains in this video). The opening track “Outsiders” talks about not fitting in, and the struggle he faces as he identifies with two genres, Christian and hip-hop, that often conflict in their messages and lyrical content. This is echoed in the album’s main single, “Nuthin,” which calls out hip-hop artists whose lyrics don’t have sustenance. The song is certainly an anomaly, with its heavy, strong beat, compelling hook, and conscious lyrics. Other standout tracks on the album include “Say I Won’t” and “Runners.” “Say I Won’t” features Andy Mineo and has a distinctive sound, as new Reach Records producer Gawvi partners a heavy, repetitive bass drop with playful sound effects, from the sound of scratching records to a xylophone-esque section that starts off the song and comes back in the chorus. This track also surreptitiously samples a number of famous African American songs, from “Funky President” by James Brown to “Baby Got Back” by Sir Mix-a-Lot. “Runners” talks about the issue of cheating in a relationship, but is most impressive because of its beat that matches the title perfectly, which makes you feel as if you are riding the treadmill mentioned at the beginning of the song. The song is also intermittent with speaking parts, often featuring multiple characters, which is found in a multitude of the songs on Anomaly, including “Welcome to America” and “Fear.” Voiceovers in between and during tracks is a trend in hip-hop that has recently been featured in the albums of artists such as Kendrick Lamar and Souls of Mischief. “Anomaly” truly takes the influence of soul and funk genres to a whole new level. Unlike anything else on the album, it features a horn section, soulful female singing, and a voiceover that harkens back to the days of Isaac Hayes. Though most tracks are original in both music and lyrics, some tracks sound very similar to artists tobyMac and Kirk Franklin. “Broken” and “Messengers,” though including some typical Lecrae-style rap, have choruses that sound like mainstream contemporary Christian music. However, this just goes to show that Lecrae reaches multiple genres and Anomaly truly has something for everyone. It proves that this album lives up to its name: Lecrae is truly challenging stereotypes in both the Christian and hip-hop musical genres and cultures. He shows the complexity of one’s identity, and the extent to which music can be used as a medium to define and express oneself outside the confines of society.